Board and batten prep work is today’s topic for week 3 of the $100 Room Challenge. I’m super thankful that there is an extra week this month as I still have a lot to do! Welcome to Refashionably Late. 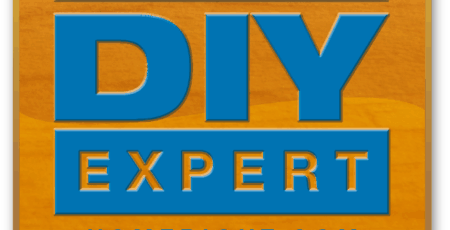 If you are new here, please join 23,954 subscribers and followers for weekly DIY projects & ideas! I’d love to get to know you and answer any questions you may have. You can also follow along on Pinterest, Instagram, & Facebook. I’ve been pondering on whether to use 1×3 pieces of pine, MDF, or a mixture of pine and lattice. It’s so hard to decide what is going to look the best. And, what is going to be the most affordable. I’m going to head to the store tomorrow to take a look at the different sizes and thicknesses of the MDF. I’m hoping the MDF boards will work but I think I just need to see it in person. In preparation for the board and batten install, I decided to paint the wall. I figured it would be easier to paint the larger area without any boards in the way. Because there would be one smooth surface. I took down the gallery wall and my two minted frames. I removed the nails from the wall and got all my painting tools out. The perfect tool for this job was my HomeRight PaintStick EZ-Twist. I really don’t like to paint walls. It’s not fun for me. Thankfully, the PaintStick EZ-Twist actually makes it bearable. Therefore, to get you set up with your EZ-Twist I made a quick little video to show you how to use it! Before I began painting I marked 65 inches high in a few different areas of the hallway. Having markings in multiple places ensures that you’ve measured correctly. I then double checked that my markings were accurate by using the laser level across the hallway wall. I started by painting a line across the top of the wall as a mark so that I didn’t paint higher than that. The pencil markings were my guideline and I painted a couple inches below that. Because, the board will cover that empty space. I painted both sides of my hallway within 10-15 minutes! It really makes the job a lot easier, especially if you are like me and don’t like to paint walls! I forgot to share where I was at with the budget last week. Here is where I am at currently combined with last week! It’s coming along but now for the hard work is yet to come! I’m hoping to get the board and batten up this weekend or early next week. Then week 5 will consist of painting and caulking! You can head on over to HomeRight’s website for a more detailed tutorial on how to use the PaintStick EZ-Twist! This post is sponsored by my friends at HomeRight and contains affiliate links. Thank you for supporting the brands that support Refashionably Late! See my full disclosure here. I can’t wait to see this transformation! I have a similar looking hallway. That’s awesome, Nicki! 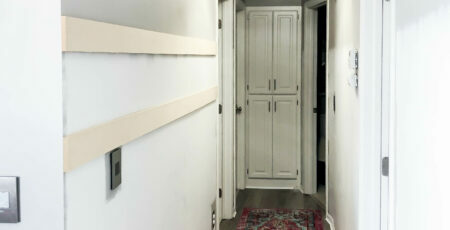 Do you have board and batten in your hallway? I’m so excited to see the board on the wall. 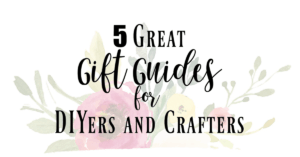 I really think it’s going to brighten your hallway up! Yeah, I think so too! I’m excited for the end result! I can’t believe you painted the walls in such a short time! I don’t like to paint, so I might need to check it out! I don’t like to paint walls either! I’d highly recommend it! The wall is going to be perfect and I love your rug.